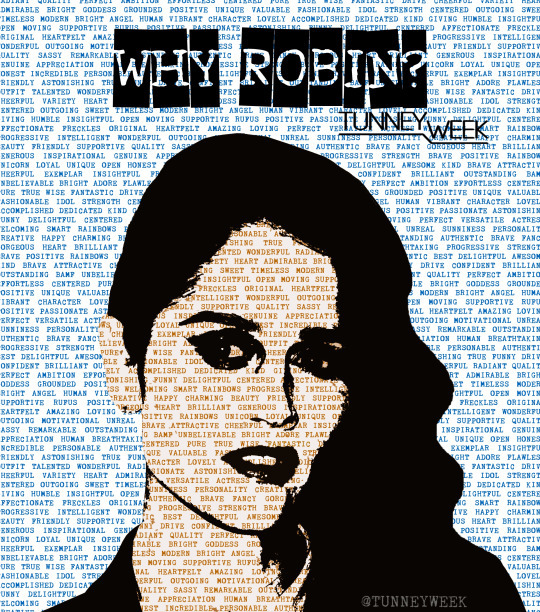 Robin's Green Shades: #TunneyWeek: Our Third Year Together! Welcome to the third year of the #TunneyWeek! This post explains what it's planned for the #TunneyWeek 2016. The #TunneyWeek starts on June 12 until June 19. The topics’ order was chosen from the results of the survey, and we’ve added a new topic for this year: our Favorite Tunney Quote. Hope that you will enjoy this special week, and that a lot of you will participate in the Birthday Porject for Robin, which will be tweeted to Robin on the day of her Birthday!